Sorry it’s in two parts. The first video is a sort of intro and prep for the look. The second video gets right into the braiding. It’s amazing how truly unflattering ﻿the still photo of the video can be. I just laugh when I look to see which one was chosen. This was a fun hairstyle to attempt. 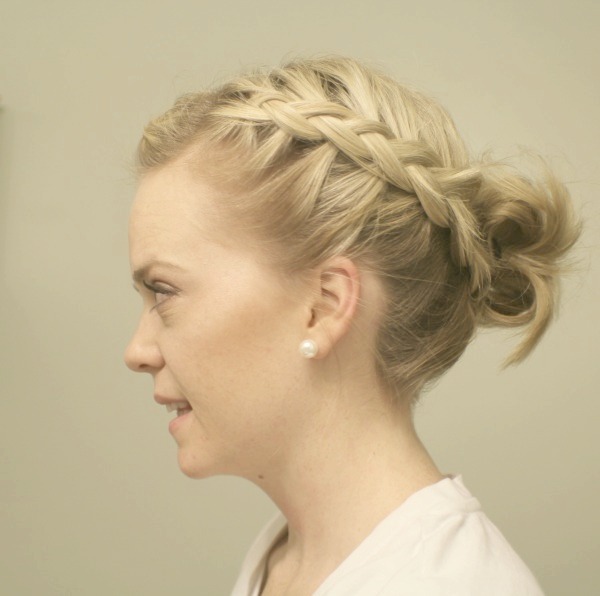 The trick is where you choose to start the braid and the placement of it as you braid toward the back. 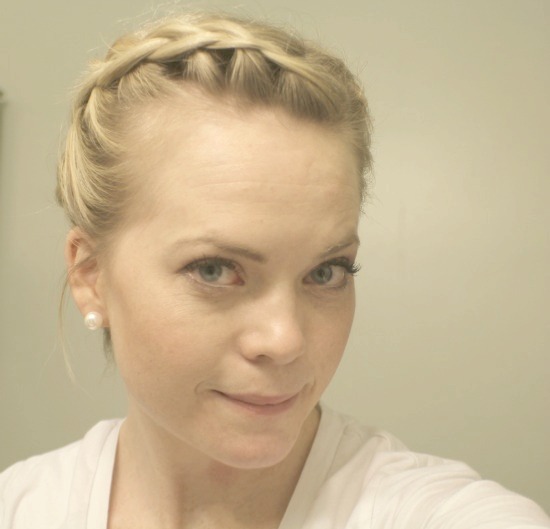 I would sport this braid around town and hope you will try it too. If you have any questions please let me know. *I had a request for a specific braid and am hoping to post it tomorrow. I’ll be using a model for the look because my hair’s not long enough just yet. No, but I’ve opened gifts then re-wrapped them before, if I can’t figure out what they are. The most troubling gift turned out to be a pencil box. It was a box with nothing in it! With whatevers in the boxes. I just throw stuff at the tree and whatever sticks, stays. Yes please, love it! We should go! I got a laptop one year after opening just a blow dryer and thinking that was it. I was so shocked I started bawling my eyes out. It was the nicest gift I ever received and it was so unexpected and needed after my first year of college. Being with family. There is seriously nothing better than that. Just eating breakfast together would be awesome. Caramel Popcorn. Not out of the tin though, gave me the stomach flu last and only time I’ll ever eat that again. My mom buys a gift and wraps it hundreds of times. Then we all sit in a circle and one person puts on gloves and starts opening the present with a knife and fork while the person next to them rolls a dice until they get 7 or eleven then they get the gloves and can start ripping off layers and so on. It’s holla fun racing to roll the dice so the person behind you doesn’t take off too many layers because the person who takes off the last layer keeps the gift. An angel we light on fire Christmas morning. JK, a lit up star. This is a completely loaded question. You can’t say receiving because you look like a schmuck. The Grinch cartoon version. I love when he’s slithering between the presents. What? The one about your grandma. The one my dad blasts over and over about wanting you for Christmas. Wow, this is fantastic! 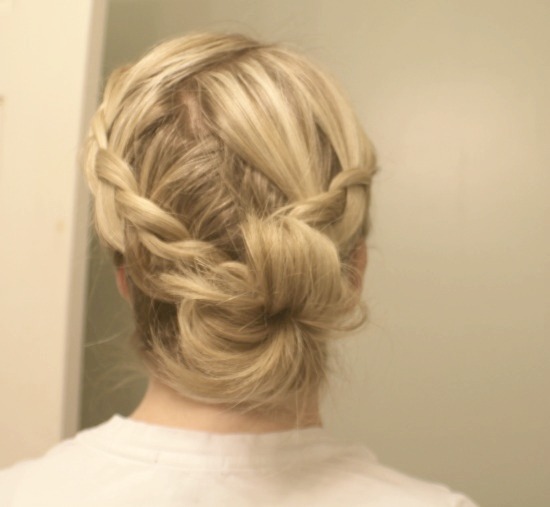 I love this hairstyle, and will try it tomorrow. Thanks for the tutorial!!!! Thanks for the tutorial! I will definitely be trying this out, I love braiding my hair. It looks great on you! answers! you are very funny love! i am glad you did it ! Looks lovely!! Now I’m even more impatient for my hair to grow out! Great tutorial. these are hilarious, melissa. love em. (: and yes, i hate snow too! your hair looks great. i love this doo. my friend did something that looks kinda like this on my hair when we were in Jamaica for a mission trip this past year. (: i loved it.